The Collective Mark is a public testament to professional qualification. Its significance is increasing as more and more clients require BDMA accreditation. 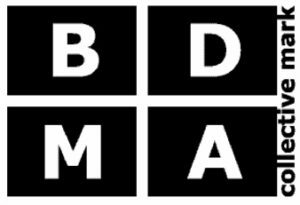 The Collective Mark signifies accreditation by the BDMA and may not be used in any context where accreditation cannot be verified. 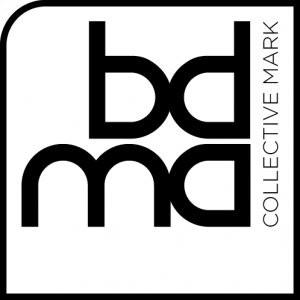 The Collective Mark may only be used by individuals or companies that have been officially accredited by the BDMA. The appropriate version of the Collective Mark is provided at the time of accreditation. 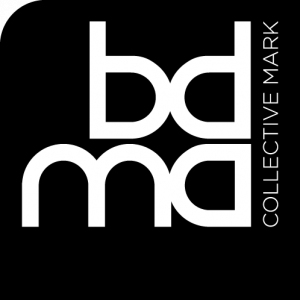 It is particularly important to distinguish between individual and corporate entitlement to use the Collective Mark and where an organisation has individual employees accredited by the BDMA the Mark should only be used in association with each of those individuals and not in generic corporate materials. The new Collective Mark makes this distinction by identifying the relevant accreditation category to avoid confusion. e.g. Joe Bloggs BDMA Tech, BDMA ClaimsPract, BDMA InsTech, etc. Companies holding a corporate accreditation may display the Collective Mark on letterheads, websites and corporate literature. They can also obtain permission to show the Collective Mark on company vehicles but must use the official decals which can be ordered from the BDMA. Members can use either the black or white version, according to preference. The original version of the Collective Mark remains valid and can continue to be used by accredited members, but all newly accredited members will be provided with the appropriate new Mark together with terms and conditions of use.